"I ain't afraid to die anymore. I'd done it already." That's a quote from Leonardo DiCaprio in The Revenant, one of the year's best films. The film is based on the book of the same name by Michael Punke, which (loosely) recounted the story of Hugh Glass, a fur trapper who, in 1823, was left for dead by his companions, & then traveled 200 miles to locate them. DiCaprio portrays Glass, who was part of a group led by Captain Andrew Henry (played by Domhnall Gleeson). Alongside them are John Fitzgerald (played by Tom Hardy), Jim Bridger (played by Will Poulter), & several others. After an ambush by the Arikara tribe, only a third of the hunters survive. Some time later, Glass is brutally mauled by a grizzly bear. Although he nearly dies, he kills the bear with a knife. Since Glass is on a makeshift stretcher with the group, their procession is slowed. Henry then asks 3 people to stay; Fitzgerlad, Bridger, & Glass's half-Pawnee son, Hawk (played by Forrest Goodluck). Fitzgerlad then tries to smother Glass to death; however, Hawk notices & gets in a struggle with Fitzgerald, which eventually leads to Fitzgerald killing him. Fitzgerald tells Bridger that Glass is dead, & they proceed on. Glass eventually manages to regain his strength, & goes to find Fitzgerald & enact his revenge on him. The film is a flat-out masterpiece. Leonardo DiCaprio's performance is nothing short of extraordinary, & this should finally give him his first Oscar. Tom Hardy's performance is also excellent, portraying one of the best film villains of the decade. The direction from Alejandro G. Iñárritu is spell-binding, proving that he is one of the best directors of the 21st century. The screenplay from Iñárritu & Mark L. Smith is also excellent. But the most excellent thing in this film is definitely the work of cinematographer Emmanuel Lubezki, who is definitely one of the best cinematographers in a long time. His camera work is pitch-perfect, filled with amazing, unbroken camera movements. 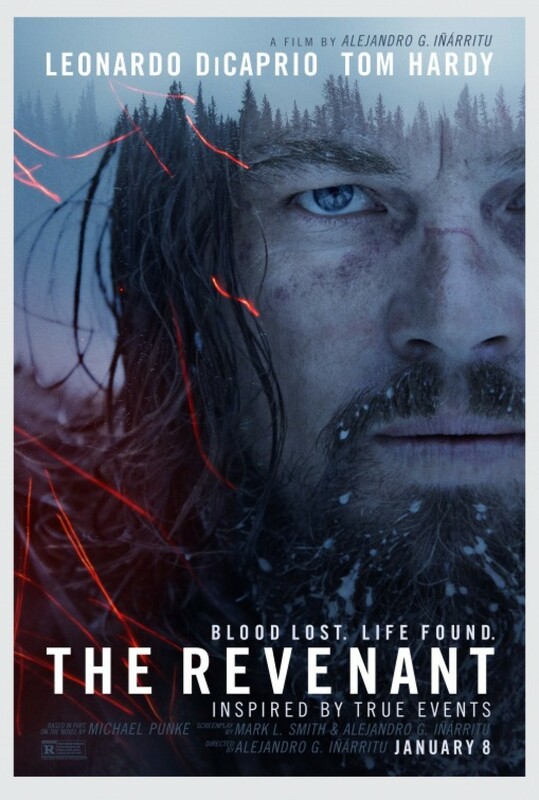 This is definitely one of the year's best films, & if Leonardo DiCaprio doesn't win the Oscar, it will be the worst crime the Academy has ever made. I just hope it doesn't turn out that way.